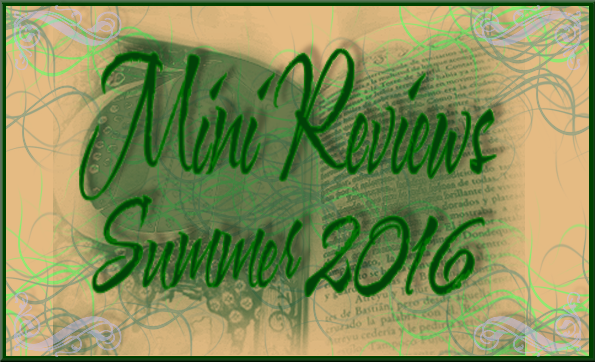 Mailbox Monday is a weekly meme that is hosted by Marcia at The Printed Page. We share what books that we found in our mailboxes last week. And I am adding what I purchased, swapped, etc. As I said last week, I was gifted with gift cards to Half Price Books for Mother's Day, and I still have more to go on the cards. 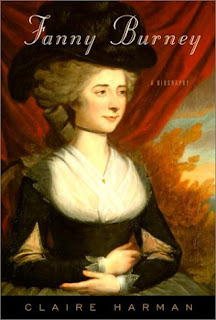 Claire Harman's full-scale biography of Fanny Burney, the first literary woman novelist and a true child of eighteenth-century England and the Enlightenment,is rich with insights and pleasures as it brings us into the extraordinary life (1752-1840) of the woman Virginia Woolf called the mother of English fiction. We are present at Mrs. Thrale's dinner party when the twenty-six-year-old Fanny has the incomparable thrill of hearing Dr. Johnson himself admiringly acknowledge her authorship of Evelina, her first novel, anonymously published for fear of upsetting her adored father, and now the talk of the town. We see her growing up, daughter of the charming and gifted musician and teacher Dr. Charles Burney, who was the very embodiment of a new class: talented, energized, self-educated, self-made, self-conscious, socially ambitious and easily endearing himself to aristocratic patrons. We see Fanny partly enjoying, partly rejecting the celebrity engendered by Evelina, and four years later by Cecilia ("If you will be an author and a wit," says Mrs. Thrale, "you must take the consequences"). And we see her mingling with the most famous men and women of the time, not only Dr. Johnson but Joshua Reynolds, Sheridan, David Garrick, Mrs. Siddons, Horace Walpole and, later, Chateaubriand and Madame de StaÎl. For five years, during the time of George III's madness, Fanny Burney held a position in the Royal Household as Second Keeper of the Robes to Queen Charlotte. For her father, Fanny's going to court was like going to heaven, but for Fanny it was more an incarceration. Her journals, published posthumously in 1842, gave her some solace. She saw herself as an eavesdropper. Dr. Johnson wryly called her "a spy." Her marriage at forty-one to a penniless Catholic exile, Alexandre d'Arblay, resulted in trans-Channel crossings that left her stranded for almost a decade in Napoleon's France, and then, after a dramatic flight from Paris, trapped in Brussels on the eve of Waterloo. Claire Harman's biography of Fanny Burney is as lively as it is meticulously researched and authoritative. It gives us the woman, her world and the early-blooming artist whose acute grasp of social nuance, gift for satire, drama and skillful play among large casts of characters won her comparison with the best of Smollett, Richardson and Fielding, the admiration of Jane Austen and Lord Byron and a secure place in the pantheon of the English novel. Who's Who in Early Medieval England, so I have four of this series now, and looking for several more such as the Who's Who in Early/Late Hanoverian England; This is part of an eight-volume series providing short biographies of men and women from Roman to Victorian times. Each entry places the subject in the context of their age and evokes what was distinctive and interesting about their personality and achievement. 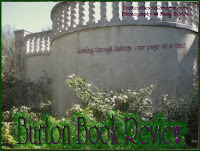 The biographies are arranged in a broadly chronological rather than alphabetical sequence so that the reader may easily browse from one contemporary to the next. The index, with its many cross-references, reveals further linkages between contemporaries. Each volume is a portrait of an age, presenting history in a biographical form which complements the conventional approach. This volume begins with William the Conqueror, illegitimate son of Robert "the Devil" and first of the Norman Kings of England; and continues through Hereward the Wake, the celebrated outlaw and symbol of anti-French sentiment; the martyr Thomas Becket; and Aaron of York, "the Croesus of thirteenth-century England," brought down by an establishment hostile to Jews. 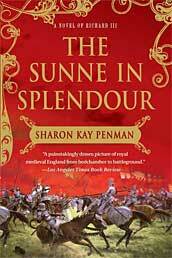 The Sunne in Splendour by Sharon Kay Penman.. I couldn't resist this book anymore, especially feeling the way I do about how no one can hold a candle to Penman's Henry II era titles. Perhaps she can turn me officially Richardian? If anyone can, it would only be her. A glorious novel of the controversial Richard III---a monarch betrayed in life by his allies and betrayed in death by history. In this beautifully rendered modern classic, Sharon Kay Penman redeems Richard III---vilified as the bitter, twisted, scheming hunchback who murdered his nephews, the princes in the Tower---from his maligned place in history with a dazzling combination of research and storytelling. 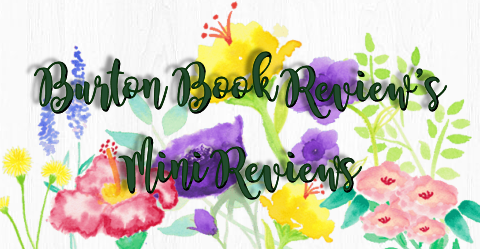 Born into the treacherous courts of fifteenth-century England, in the midst of what history has called The War of the Roses, Richard was raised in the shadow of his charismatic brother, King Edward IV. Loyal to his friends and passionately in love with the one woman who was denied him, Richard emerges as a gifted man far more sinned against than sinning. This magnificent retelling of his life is filled with all of the sights and sounds of battle, the customs and lore of the fifteenth century, the rigors of court politics, and the passions and prejudices of royalty. I had read her most recent, Delilah, and totally fell in love with her writing. I kept hoping that this older title would show up in my queue at Paperbackswap, and I lost patience and bought it. 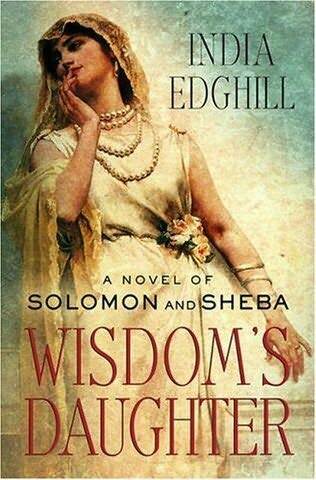 Following Queenmaker, "her majestic debut" (People magazine), India Edghill's Wisdom's Daughter is a vivid and assiduously researched rendition of the Biblical tale of King Solomon and the Queen of Sheba. As the queen's search for a true heir to her throne takes her to the court of the wisest man in the world, both she and the king learn how to value truth, love, and duty . . . and the king’s daughter learns to be a forceful woman in a man's world. Mistress of the Monarchy: The Life of Katherine Swynford by Alison Weir (2009). I really enjoy reading Weir's non-fiction reads, unlike some nay sayers, and I appreciate her insights and her passion for her work. 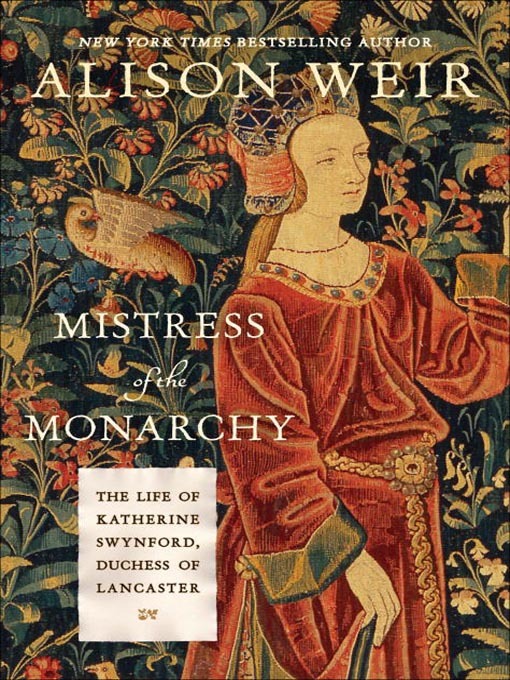 Historian Alison Weir brings to life the tale of Katherine Swynford, a royal mistress who became a crucial figure in the British royal dynasties. Born in the mid-14th century, Katherine experienced the Hundred Years' War, the Black Death, and the Peasants' Revolt, and crossed paths with many eminent figures, among them her brother-in-law, Geoffrey Chaucer. At age ten, she was appointed to the household of John of Gaunt, Duke of Lancaster and fourth son of King Edward III; at twelve, she married Hugh Swynford, an impoverished knight. Widowed at 21, Katherine, gifted with beauty and charms, later became John of Gaunt's mistress. Throughout their illicit union, John and Katherine were devoted to each other. In middle age, after many twists of fortune, they wed, and her children by John, the Beauforts, would become direct forebears of the Royal Houses of York, Tudor, and Stuart, and of every British sovereign since 1461 (as well as four U.S. presidents). I had really loved a few of the Arbella non-fiction books that I had read a few years ago and I have wanted this one also ever since. Lady Arbella Stuart, once a favoured heir to the throne of Elizabeth I, has become a forgotten Princess. 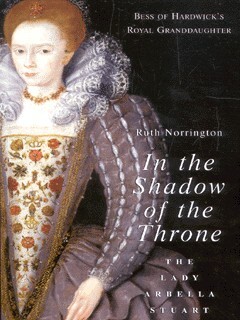 This book reveals startling evidence to explain her fall into obscurity and seeks to re-establish her once again as one of the brightest stars of the House of Stuart. Directly descended from Henry VII through his eldest daughter Margaret Tudor, she was first cousin to James I, niece to Mary Queen of Scots and Lord Darnley and daughter of Darnley's younger brother Charles Stuart and Elizabeth Cavendish, daughter of Bess of Hardwick. In the Shadow of the Throne will change our understanding of Arbella Stuart by utilizing new medical research into the hereditary disease of porphryia. This new evidence not only confirms the presence of the illness in George III and his descendants, but also makes clear that symptoms were present in his ancestors back to the Tudors. James I, his eldest son Prince Henry, Mary Queen of Scots, Charles I's youngest daughter Minette and Arbella herself are now believed to have been afflicted; a close study of their health from available records reveal significant physical suffering as well as bouts of mental derangement, even madness. James I, the dominating influence on the adult life of Arbella, treated her alternately with great kindness and severe cruelty which is now known to have coincided with his attacks of the illness. With the obvious exception of Mary, it can now be argued that all these members died from porphryia. Few personalities from classical antiquity are more familiar yet more poorly grasped than Cleopatra (69-30 BC), queen of Egypt. The subject of a vast repertory of post-antique popular culture and also a significant figure in literature, art, and music, Cleopatra herself is surprisingly little known and generally misunderstood. Even in the years immediately after her death her memory was condemned by those who defeated her. The image of Cleopatra as an unfit ruler and wanton seductress who destroyed the careers of two of Rome's greatest generals-an image first created by Octavian's propaganda campaign-informs the later portrayals of her on stage and screen. Cleopatra was an accomplished diplomat, administrator, linguist (she was probably the first Ptolemy ruler to learn Egyptian), and author, who, until her very last years, skillfully managed her kingdom in the face of a deteriorating political situation and increasing strength and hostility from Rome. The fact that the wealthy and pivotally placed kingdom of Egypt held out so long against Roman conquest is due primarily to the formidable skills of its last Ptolemaic Queen. Although she is the subject of a vast bibliography, she can be unfairly represented as a person whose physical needs determined her political decisions. Some of the most unbiased data from her own era, the repertory of art and coinage produced while she was alive, are too frequently ignored. In Cleopatra, Duane Roller has written the definitive biography of the queen, not as a figure in popular culture or even in the arts and literature of the last five hundred years, but as the last Greek queen of Egypt. 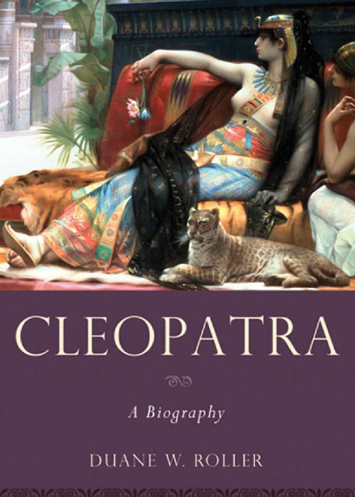 In addition to providing an engaging narrative of the queen's life, the author carefully contextualizes Cleopatra in the revolutionary events of the first century BCE. He highlights the important heritage of the Ptolemies, rulers in Egypt since the death of Alexander the Great three hundred years earlier, and the growing involvement of Rome in North Africa and the Middle East, culminating in Octavian's annexation of Egypt in 30 BCE. Roller also considers Cleopatra's various predecessor queens, who are often ignored but were fascinating personalities in their own right, and her descendants: although Cleopatra was seen as "the last of the Ptolemies" her daughter and grandson ruled in Africa for another 70 years and created a Ptolemaic government-in-exile at Mauretanian Caesarea. The result is the most complete and authoritative portrait of the life and times of this perennially fascinating figure. 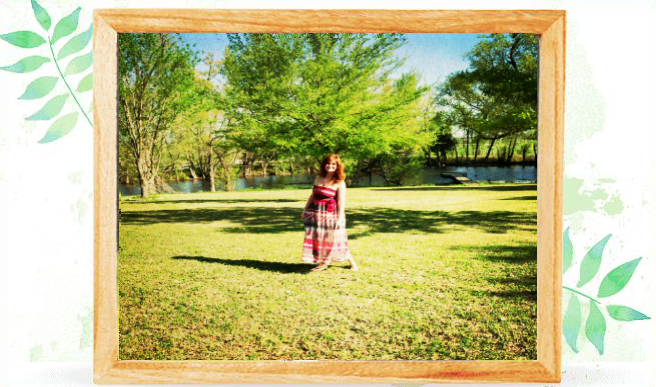 Mailbox Monday~ HAPPY MEMORIAL DAY!! Every little girl needs one of these..